When you pull up to Doukenie Winery (14727 Mountain Road, Hillsboro Va.), you may get the sense that it's not your average vineyard. The large silo surrounded by vines, the sparkling pond and the rolling hills accentuate the natural beauty of the land -- and there's still plenty of people milling around. All signs you're in a good place. The wine is a beauty in its own right. The number of Doukenie Heritage Club members runs into the thousands. Unlike many similar clubs, Doukenie's members are able to select their own wines. In the coming month expect a new Chardonnay, Vintner’s Reserve on Nov. 16, and Petit Verdot and Cabernet Sauvignon by the end of the year. Tip: Try their 2011 Sangiovise, to be released in November, is a surprisingly smooth and delicate red wine. Tastings are $8 and includes six wines; two whites, three reds and a dessert wine. 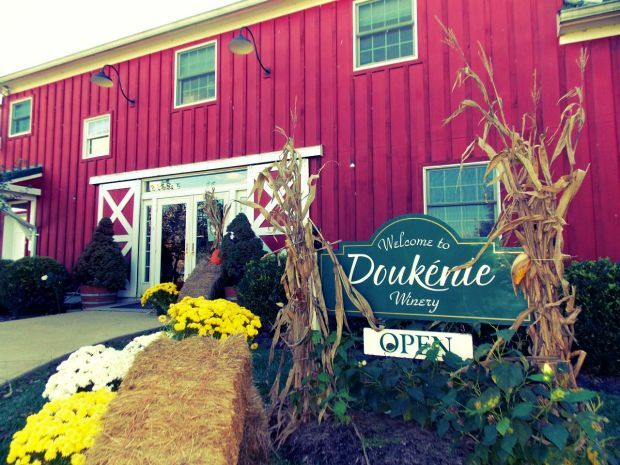 Doukenie is located about an hour from D.C. in the heart of D.C. wine country.